Scripture Safaris: Is Jesus Really with Us? 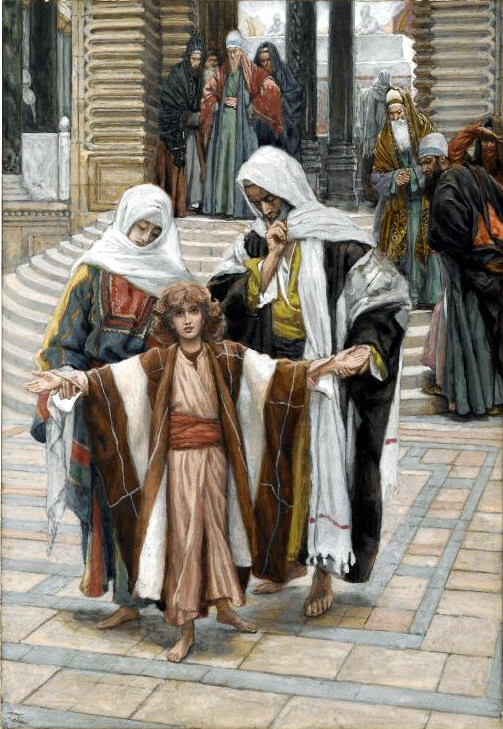 James Tisso: Jesus Found in the Temple. Image: public domain. Luke’s Gospel records the account of an event that occurred when Jesus was twelve and He went to Jerusalem with Joseph and Mary. Returning from the Festival of the Passover, they noticed that Jesus was not with them. Everything that is written in Scripture serves a purpose. This account is no exception. We ought to search ourselves and our ways every now and then to see whether Jesus is really with us, or whether we have gone on without Him. The Old Testament judge Samson provides a warning example for us. He assumed that God was still with him even though he had disclosed the secret of his strength to Delilah. But he was wrong; his strength was gone. We might face trouble if we do not watch and pray but instead merely assume that the Lord is with us.